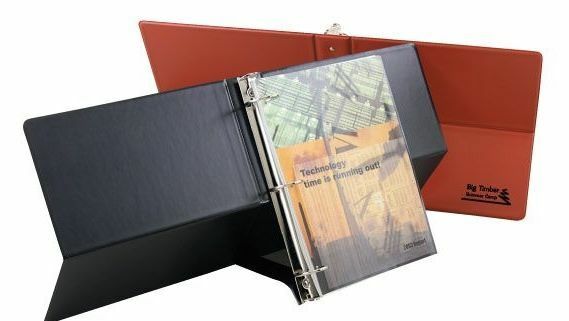 Executive Easel Split Back Binder Letter Size : BindersNow.com, Quick, Easy & Online! Make a great presentation. Professional binder folds back to stand up on counter. Customize with your own logo debossed or silkscreened on the upper center front cover.